Do you spend too much time everyday looking for lost items? 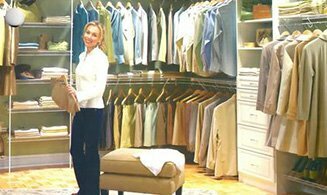 Then it’s time you shift to a more organized lifestyle with closets from The Closet Connection. 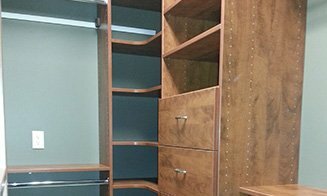 We have been serving West Michigan since 1995 providing custom closets made of wood laminate and ventilated wire. Let us put our experience to work for you as well. 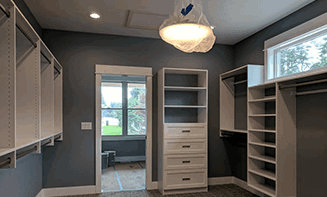 Call 231-206-3612231-206-3612 or email us at closetconnection11@comcast.net for your free design and quote. See how we can help you get organized today! 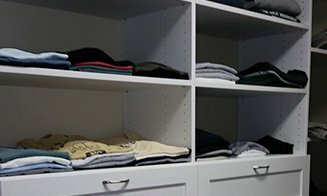 We create custom closets and storage systems in an array of styles and designs that are just right for your individual needs. We serve residential and commercial clients across West Michigan, encompassing the regions from Holland to Ludington. Our owner-operator will provide you with Rubbermaid products and other quality brand systems and accessories. 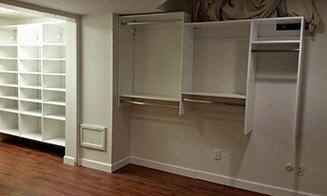 Our closet, wine cellar and storage solutions are perfect for organizing any space, whether it is in your home, garage, or business. We are committed to helping our clients, that is why we offer free design and quote to make the whole process easier for you.